Starring Zachary Levi, Mark Strong, Asher Angel, Jack Dylan Grazer, Grace Fulton. 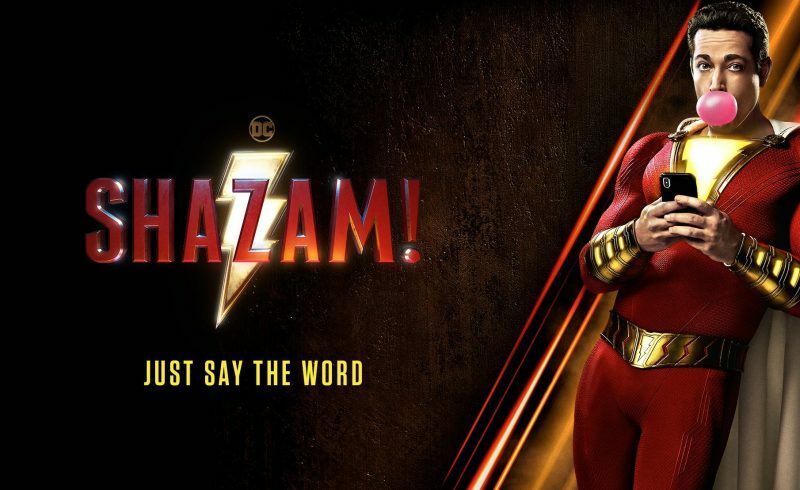 Well the time has come and here is my non-spoiler review for Shazam which is in cinemas from April 5th. For being a DC comics fan, To get two get a new DC comics superhero movie and not so long after Aquaman is an epic thing to be part of. With a great opening for a superhero movie moving straight Into the main story where a boy gets to meet a wizard and purely by saying his name becomes one of the ultimate superheroes Shazam! I have never laughed so much for any superhero movie and down to Asher Angel and Jack Dylan Grazers energy and perfect castings, it also had many brilliant elements put together and director David F. Sandberg achieved this brilliantly, his horror skills were used In there and there are many jumpy and scary moments throughout and all the elements merged together perfectly! The idea of a boy who turns into a superhero and is still only a boy inside is brilliant and can imagine he could be a lot of fun if he met up with the justice league one day. Shazam is definitely set in the DC Universe we are in now and there are mentions of other characters such as Superman too. 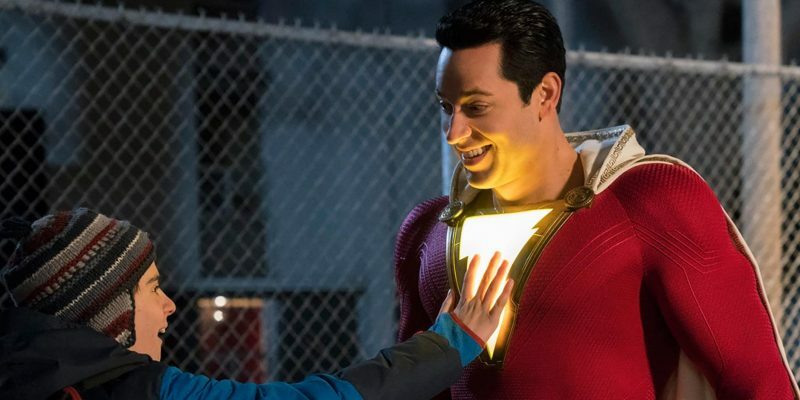 Zachary Levi was the perfect casting playing the adult version of Billy Batson when he becomes Shazam, so so funny and talented and could not think of another actor who could of pulled off what he has with Shazam. I think he’s going to have a long career ahead of him as this character, which I have no complaints about and hope we get to see him have some fun with other superhero characters on screen soon, after all this is what us fans want to see, right? Once Billy is adopted and living with his foster family things get really wacky as you can imagine he is boy who can turn into a superhero and keeping it quiet amongst everybody in the crowded house becomes a challenge as you will see but every character in the house was played brilliantly and was an absolute great family of people. I would actually think it would be exactly the same Scenario in real life in the same situation. There are a few little Easter eggs hidden throughout the film, some easier to spot than others including certain characters. Freddie certainly has some memorabilia collected plus also knows his background on super heroes which made him the perfect partner helping Shazam along the way with his knowledge. 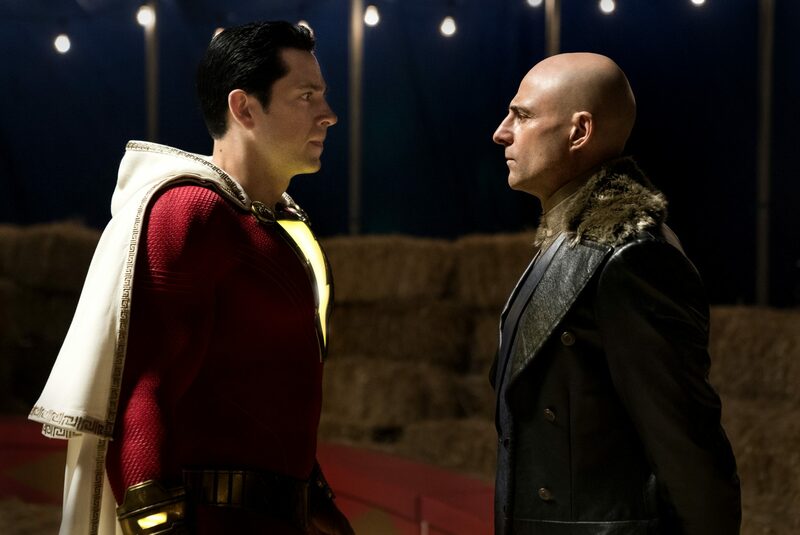 Mark Strong who plays Dr Sivana was absolutely legend and great to see a villain character with some back story to his character and how he finds his way to becoming the baddie. Mark is very diverse in characters he can play and Dr Sivana was a brilliant Super Villain to see on screen and he did him justice, he must of had a great time on set filming with powers and rigs. The special effects are brilliant and spot on and imagine David F. Sandberg had to learn a few new tricks to what he is used too and they paid off brilliantly, the soundtrack works amazing and there was a certain scene at a point in the movie where I jumped for joy seeing what I saw on the screen! I would say Shazam was an absolute pleasure to watch and so lucky to see it twice in one week already and can’t wait to go see it again soon once released, highly recommended for the entire family young and old this is one movie everyone will have fun with. Thank you to Warner Bros UK for an epic few days in London this week and the amazing opportunities we’ve had.